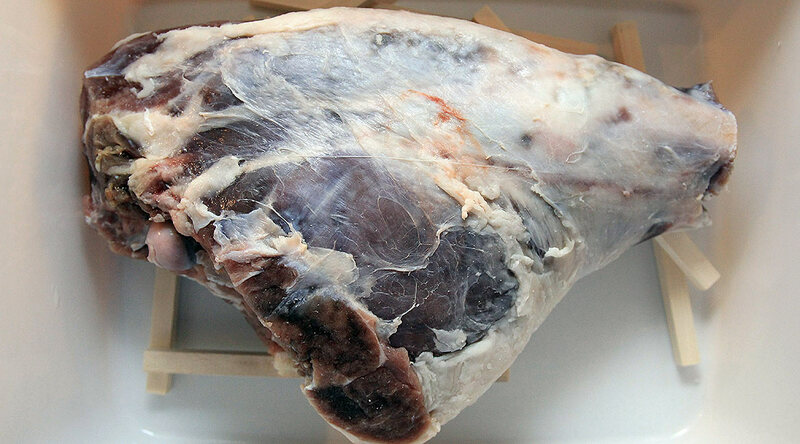 Fenalår a Norwegian specialty is a salted, dried and cured leg of lamb or young mutton. Curing time is normally around three months. In the past the drying process could be from one to six years in storehouse. 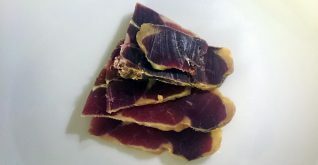 If you only have tasted the fenalår you can buy in the Norwegian convenience store, which is more than okay, this recipe will knock your socks off. Much more meat/ lamb flavor and less salty taste. If you don’t have the climate or a curing camber i would advises you to cold smoke it for 3 hours or more before you hang it up to dry. Some instacure #2 to be on the safe side. Use cure #2 according to package directions, usually 5 tsp pr 25lbs of meat. 1. Massage out the blod. Start from the thin part of the leg and work your way upwards. There are two blood vessels in the middle of the inside of the thigh and one on each side. The more blod you remove the better the final product will taste. 2. Wash with cold water and dry with paper-towels. 3. Add enough sea-salt so it cover the the bottom of a container. 4. Rub salt (and instacure 2) all over the leg and push it into the salt in the container. 6. Put it in the fridge and leave it for 0.6-1 day pr. kilo of meat. You can flip the leg every day or every other day, add more salt if needed. 7. Remove the leg from the salt and brush of all the salt. 8. Put a grate or som sticks at the bottom of the container and place the leg on top. Put the leg and container back in the fridge. The temperature should be 3-4 degrees C.
9. Leave it in the fridge for 14 to 45 days. The longer you leave it the more “fenalår” taste the meat will develop. If mold appears, wash it off with brine or vinegar. 10. Remove the leg from the fridge. The fenalår is usually dried at a relative humidity between 69 to 76 percent and a temperature of between 12 and 18 degrees. Duration of drying varies, but between 60 and 90 days are usual. The Fenalår is completed when the weight is reduced by 30-40%. This next step is optional. 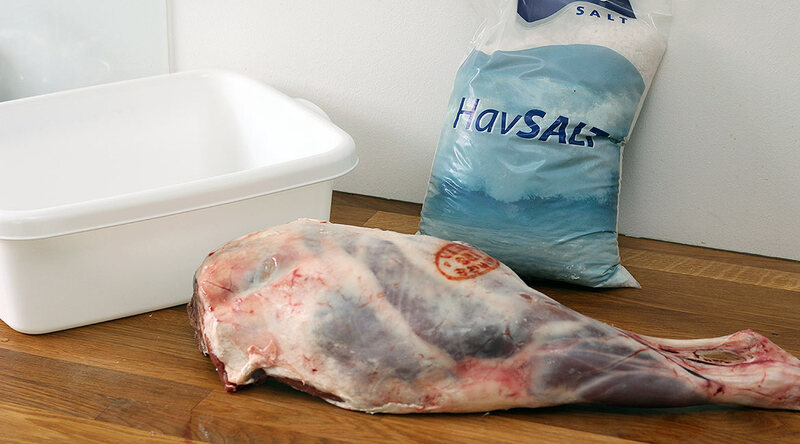 But vacuum sealing your fenalår will stop the drying prosess and also make the meat more moist and tender. It will also preserve the quality for a long time. 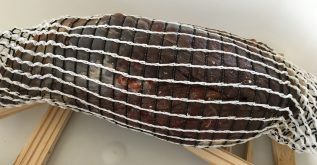 Hi, I have read the article and your recipe and would like to attempt doing a mutton leg Fenalår here in Canada. Quantities of salt and type of salt per kilo of meat. Instacure #2 quantities per kilo of meat . Was the leg covered in lard or oil for the air drying afterwards or is this all done in the fridge. Welcome to my blog. It’s so nice of you to drop by. First of all since I don’t use a curing chamber my fenalår turns out different every time, both in taste and color 🙂 It’s always edible tho. I use salt with iodine from a Danish brand called Jozo but you can use any brand. And I only use Instacure #2 not #1. Use cure #2 according to package directions, in my case it’s 1 tsp pr 2.27 kg of meat. 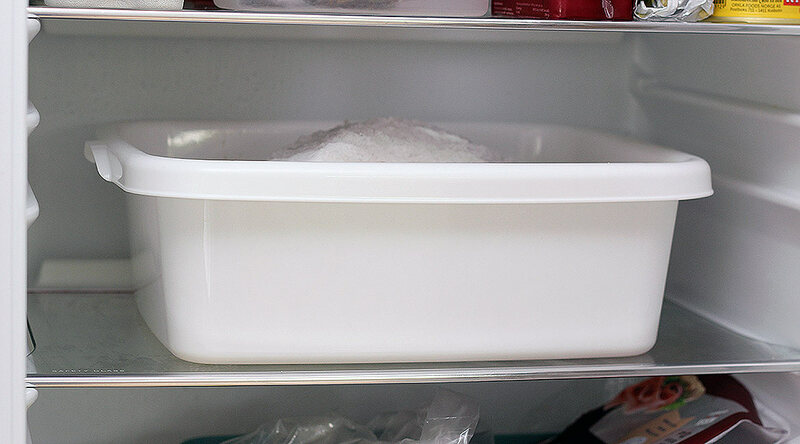 The amount of salt depends on how big the leg of lamb is and how large container you use. The leg of lamb must be completely covered. You can also use some fine salt together with the Instacure so you’re sure it will cover the hole leg. This days i usually debone the leg before i start the salting process. 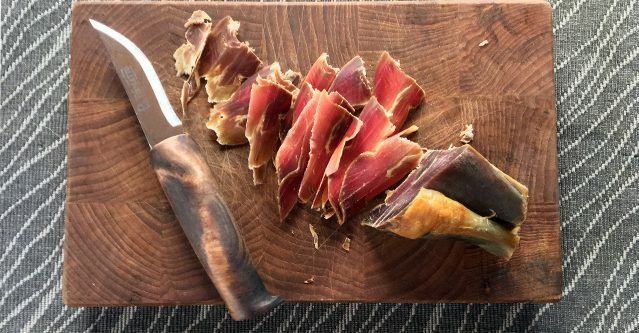 Because it’s then very easy to cut thin slices and you can also use a meat slicer. I dont use any oil or lard when i hang it up to dry, only fresh air. The process is like this: Salt, maturing (fridge) and then removed from the fridge and hang to dry in a suitable room or stabbur 🙂 Hope this helps. And let me know how it turns out. Good luck. Would the same process work well for a leg of venison? Have you ever made venison fenalar?